I have made myself a lovely slimming world vegetarian lunch. 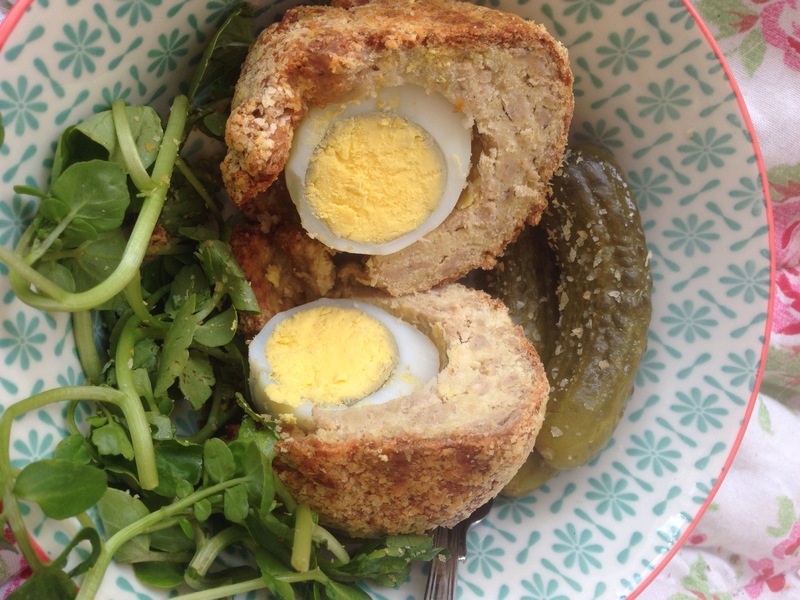 These scotch eggs are delicious and synfree on the slimming world diet. I feel like I am on a summer picnic as I tuck in! Crumbled 4 uncooked Quorn sausages and mixed a beaten egg in and added smash mash potato powder until the consistency thickens. Dipped the cooled egg in more beaten egg and moulded the sausage mixture around. Final coating of smash and cook in the oven. lovely with pickles, gherkins or piccalilli!